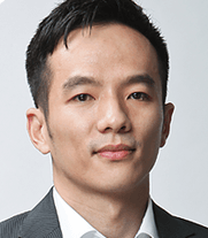 Dr. Yuan is the author of an upcoming book “Code is law: an application developer’s guide to blockchain”, to be published by Addison-Wesley in 2017. He is an expert on enterprise and mobile software, and was a Principle Investigator on multiple research projects funded by the US government. 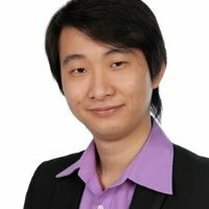 Dr. Yuan was an active code committer in large Open Source projects such as Firefox, Fedora, JBoss, and others. He received a PhD in Astrophysics from University of Texas at Austin. Jasmin Güngör works for more than three years in the field of impact investing and manages projects in Ecuador and India that receive loans from Austrian, German and Swiss investors. She knows Bitcoin since 2011 and is convinced that cryptocurrencies do have a great potential in developing countries, where many people are unbanked with hardly any access to the financial system. The unique selling point of cryptocurrencies is the fact that a device with an internet connection is all you need to make financial services available to you. Even if Bitcoin and other coins are primarily seen as a new asset class, there is an additional value when compared to gold or other value storages, because of the relatively cheap and fast transactions everybody can do via the blockchain. It is a decentralized system that can be used as a currency while offering services similar to the tradition banking system. This can also explain why a widely adopted coin like Bitcoin with a large market cap has a real value. Marco studied mathematics, physics and economics. He holds a PhD in theoretical physics and worked several years for the finance industry and in investment banking. When he learnt about Bitcoin he quit his bank job to join the cryptocurrency revolution. Marco is co-founder and CFO of Genesis Mining, one of the largest cryptocurrency mining companies. Oscar Adam Darmawan graduated from Monash University in 2006 with a double degree in Information Technology and System and he holds a certificate in Internet Security from EC-Council USA (Certified Ethical Hacker). Oscar had been involved in the IT industry for military, civil, and corporate for more than eight years. Nowadays, he focuses more in growing www.Bitcoin.co.id (PT Bit Coin Indonesia) as the biggest Indonesia Bitcoin exchange which currently facilitates BTC-IDR trading for more than 250k members in Indonesia. Acting as the CEO and the co-founder of PT Bit Coin Indonesia, he is in charge of the company operation, Bitcoin education in Indonesia and public relationship for the company. Stephen is a pioneer in the field of local and digital currencies, having contributed 25 years as a visionary, system designer, administrator, researcher and educator. He works in Europe, Africa, Latin America and in Asia. In Japan, Thailand and Indonesia, he assisted governments, banks and communities grappling with the Asian Monetary Crisis. He also advised on the concept of Ripple before it was coded. Stephen has presented at conferences around the world, most recently in Barcelona earlier this year and to at the very first Communist Party of China sponsored conference on Blockchain technologies last year. 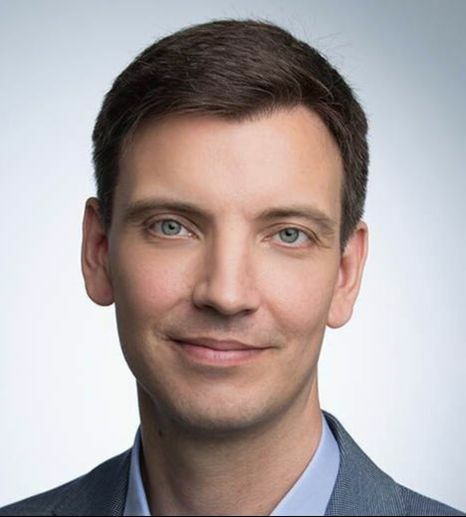 A physicist by education, Sasha Ivanov has been involved in Internet payment systems software development and neural network prediction software for financial markets. Roberto discovered a passion for Information Technology at the tender age of 6 when, with the help of his father, he started to learn computer programming. In 1984, at age 10, he had developed and sold his first video game. Four years later he begun an entrepreneurship career when, authorised by Italy’s court for minors, he opened his first IT company. In the formative years of the Internet he expanded his business reach into the online world and quickly found his company’ services in great demand. Roberto, specialised in Lawful Interception systems and big data analysis, is also a consultant to law enforcement agencies. Moved to Asia a decade ago, Roberto is now a renown Blockchain expert, associate of the Nxt Foundation and the first to apply Blockchain technology to supply chain and trade finance. 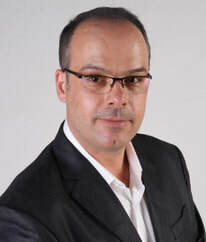 Founder of the Blockchain Zoo association (http://bcz.ooo), Roberto often speaks at conferences, participates to technology discussions at panels for various events, and gives seminars on Blockchain. Jörg Molt is one of the few experts in blockchain and cryptocurrencies. As a coach, speaker and consultant, he is indeed one of the more reputable specialists in Europe. He advises renowned companies and institutions from many different industries all over the world on how to implement digitalisation processes. As a solo miner and member of an Antminer network, he has helped create key structures, building up capital and fixed assets in Bitcoin from the very outset. By generally developing Smart Contracts based on the local blockchain, he founded a holding company to act as an agent between users and manufacturers. Together with other experts, this resulted in the “Satoshi Competence School”. Jörg Molt delights his audiences with his humour and clear explanations, using practical examples to demonstrate how (r)evolutionary technology can be applied. Made Wisnu expertise in Financial Analysist and work for more than 3 years in the field. He is also a FinTech enthusiast and work with the International Counterpart to do analysist and investigation on Money Laundering and Terrorism Financing cases. His academic background in Police and Intelligence studies. Made Wisnu also often invited as a speaker for Terrorism Financing Analysist in Rajaratnam School of International Studies (RSIS NTU), Interpol Meeting and Local Conference held by the Bank association. 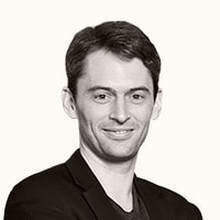 Greg Van den Bergh is the co-founder and CEO of MiCai, a financial technology company with offices in Beijing and London. MiCai launched the first robo-advisor in China and is market leader in providing operating systems for wealth management firms. MiCai uses blockchain in a variety of applications to empower wealth management firms to serve their clients better. Prior to MiCai, Greg worked for MAN Group - GLG, a Hedge Fund with 26bn USD under management. Before he moved there, Greg worked on the Principal Trading desk at Citi and at Private Wealth Management at Morgan Stanley in Hong Kong. Greg has a B.A. in Philosophy and Modern Languages from Oxford University and an MBA from the Cheung Kong Graduate School of Business. a cryptocurrency market data, blockchain services, and investment company. Before he entered the world of blockchain, he was the Founder of rePurpose, which has been called “one of [America's] top college startups” by Forbes and “revolutionary” by UPRoxx, and The Renegade Institute, a social enterprise with a mission mission of solving challenges for marginalized people through transformative policymaking. A StartingBloc Social Innovation Fellow, Management and Technology Fellow, and Andhra Pradesh Entrepreneurship and Innovation Fellow, Robert serves on the Disaster Action Team with the American Red Cross and Team Rubicon. He holds standing invitations to Renaissance Weekend and Summit, the world’s leading invitation only ideas festivals. 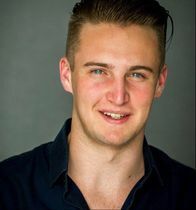 Robert is a junior at the University of Pennsylvania and The Wharton School, studying finance and electrical engineering. He spends his time between New York where he lives, Philadelphia where he learns, and Washington DC, Dubai, and Kuala Lumpur where he works. 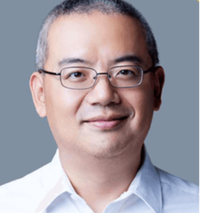 Former W3C Chair of HTML5 Chinese Group, former Chief Standards Officer of Opera China. Hope Liu is the CEO of Eximchain - a Singapore based blockchain company that allows users to build customized, end-to-end supply chain solutions with data privacy. She holds a B.A.from Peking University and a MBA degree from MIT Sloan School Of Managment. She had over 6 years experience handling cross-boarder transactions in UBS Beijing, Hong Kong and Singapore. ​She used to be the Lab Lead of the North America Blockchain Association and has been working on the Eximchain project from MIT Media Lab since 2015. About Session: This opening session by Stephen & Roberto will talk about the promotion of blockchain technologies in Indonesia, acceptance by local businesses, regulatory matters and the future potential for the application of blockchain technologies in Indonesia and southeast Asia. About Session: Smart contracts hold great promise for business applications. However, the current generation of blockchains suffer several critical performance and scalability issues, making them unable to handle Internet-scale applications. In this presentation, Dr. Yuan will review the technology landscape of next generation blockchains. He will demonstrate an open source enterprise software stack that is specifically designed to support and scale complex smart contracts. This new solution is currently being implemented on a US-based e-commerce network with 12 million registered users and over $3 billion USD in annual transactions. About Session: The unique selling point of cryptocurrencies is the fact that a device with an internet connection is all you need to make financial services available to you. Even if Bitcoin and other coins are primarily seen as new asset class, there is an additional value when compared to gold or other value storages, because of the relatively cheap and fast transactions everybody can do via the blockchain. It is a decentralized system that can be used as a currency while offering services similar to the tradition banking system. This can also explain why a widely adopted coin has an intrinsic value. About Session: Cryptocurrencies, predominantly spearheaded by the Bitcoin, have taken the financial world by storm. Today, the demand of Cryptocurrencies, namely Bitcoin and Ethereum, as well as the application of the Blockchain Technology itself have been growing remarkably following the popularity on the global stage. With no government or “anchor” backing up cryptocurrencies, the only foundation that cryptocurrencies have is people’s faith in their value. In other words, solely the market mechanism determines the price of cryptocurrencies. About Session: Imagine an open-source decentralized network that aims to disrupt Netflix for video on demand, Soundcloud for music publishing and Amazon for e-books. Matej Michalko, DECENT founder and CEO will talk about what blockchain technology adds to the world of content distribution on the Internet. He will present on the advantages of decentralized publishing and blockchain-based content distribution. He will also give practical demonstrations of some important use cases in the digital content industries. About Session: The world today began to change in a rapidly earthshaking way. The BitCoin and technology behind BitCoin Blockchain changes the way we think about money and the way we secure value fundamental. About Session: After almost a decade of cryptocurrency revolution, less than 1% global population owns cryptocurrency. Cryptocurrency is still in the hands of few globally and normal people have little clue how to own it. This session discusses ways of using physical smart devices and smart card to allow easy purchase and usage of cryptocurrency at stores and cafes. The speaker will talk about how usage of cryptocurrency can serve as a catalyst to allow financial participation of 75% of ASEAN population who does not have bank accounts. The crytocurrency revolution will have a bigger participation by allowing normal people to own and use cryptocurrency. About Session: Shareholders in the global supply chain lost up to $5.2 trillion in potential revenue last year due to lack of transparency, connectivity and agility. Blockchain can be implemented to provide a decentralized ledger across the network to replace centralized operations. This digitalizes the end-to-end process, reduces the cost of verification through a 3rd party agent, and enables real-time information sharing and value transfer across the ecosystem. She will talk about the current use cases and future potential in finance, logistics and sourcing fields, both for large multinationals and SMEs.